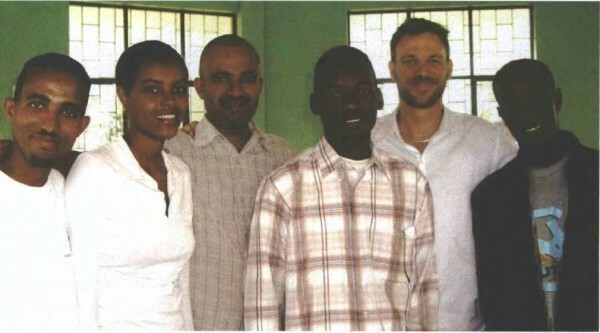 Second from right is Dr Brett Sutton; third from left is Tesfaye, an Ethiopian doctor. The others are Eritrean refugees Habtom, Haben, Ariah and Kebrom. Dr. Brett Sutton continues his exploration of the connection between Buddhism and Emergency medicine. The historical Buddha first witnessed the suffering of the real world when he saw an ill person, an old person, and a corpse. He realized that these were some of the suffering conditions which afflicted humankind. After then seeing a wandering ascetic who appeared to be devoid of suffering, he would spend many years leading a life of extreme deprivation and asceticism, though the suffering in his life was not entirely transformed. A point came where he determined that he would sit and meditate and not cease until his enlightenment. And so, after two days of meditation under the Bodhi tree, it came to be. Given that we cannot change the reality of the existence of such life circumstances, we are left with our response to them. As doctors, we spend our working lives fighting the effects of an aging body, or an aging mind. We identify illness, choose the most appropriate treatment, and institute it. We also have a real awareness of the inevitable march of time, of the inevitable effects of aging and disease progression. So hopefully this brings us a sense of proportion in the way that we treat patients’ conditions. The twentieth century brought inconceivable advances in medicine, and public health, that almost doubled life expectancy. Infectious diseases and acute bacterial illnesses were the scourge of a century ago. That we have overcome many of them is a testament to modern medical knowledge and advances in living conditions. A consequence of such advances, however, is that chronic, degenerative and incurable conditions play a larger role in our lives, especially for the elderly.